Autosoft, Inc., a leading national dealer management system (DMS) provider, announces the growth of their Connect program with sixteen new third-party partners. Additional partners give dealers more affordable options for integration with their DMS. New Autosoft partnerships include Armatus Dealer Uplift, ARSloaner, Aspire Marketing Services, Auto Data Direct, Inc., AutoLoop, CRMSuite, DealerOps, DealerSync, GoMoto, Honcker, Quality Assurance, SMART Payment Plan, Tail Light LLC, Talk Options, TEXT2DRIVE, and Votenza Systems. All partners offer services and products that help automotive dealers increase profits and efficiencies, and, ultimately, deliver better customer experiences. Armatus Dealer Uplift increases your warranty parts profits with a retail warranty parts and labor reimbursement submission service. ARSloaner manages your loaner fleet, prints all forms, and tracks required manufacturing data with a cloud-based system. Aspire Marketing Services maximizes your closing potential, increases satisfaction, and drives traffic with the right message at the right time. Auto Data Direct, Inc. expedites and simplifies dealer processes, including metal plate issuance and print-on-demand temporary tags. AutoLoop delivers high ROI and more loyal customers with proven dealer-centric sales, service, and marketing solutions. CRMSuite grows your sales with artificial intelligence and intuitive follow up in an all-in-one business intelligence tool. DealerOps is a user-friendly enterprise analytics, data intelligence, and performance management solution that is accessible anywhere, anytime, and on any device. DealerSync increases your leads and conversion rate with a responsive website and Inventory Management Suite. GoMoto streamlines your service lane through check-in and payment processes with customer facing kiosk technology. Honcker lets dealers stop chasing leads and start closing orders with 100% online VIN-specific leasing in just three steps. Quality Assurance manages your service and sales retention with CSI factory score solutions and affordable mail, email, and phone prices. SMART Payment Plan increases sales and finance gross and sells more cars and F&I products with smaller, automated loan payments. Tail Light LLC improves F&I Sales and Management with menu, reporting, electronic contracting, and mobile solutions. Talk Options allows dealers to communicate with customers more efficiently while increasing Repair Order totals and customer satisfaction. TEXT2DRIVE is the most powerful and comprehensive texting platform in the industry today. Votenza Systems is a simple-to-use lead management tool and full CRM with a unique life-cycle marketing and equity tool. 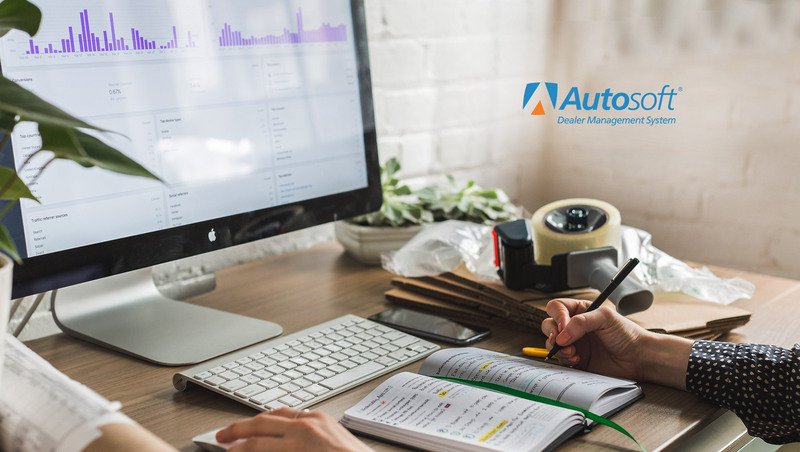 Autosoft offers complete integration between their DMS and many CRM, Sales, Marketing, Inventory, F&I, Parts, Service, and other third-party solutions. By continuously adding new partners, Autosoft makes it easier to create a more profitable dealership with more satisfied customers.